Review: Ever since I have listened to the soundtracks to Final Fantasy Tactics and Vagrant Story, Hitoshi Sakimoto has become one of my favorite composers. So when I found out that his initial foray into the world of anime soundtracks would be in composing the music to Romeo x Juliet, I was excited in seeing what would become of it. After listening through the soundtrack, I was very impressed by the results. One of Sakimoto’s biggest strengths is being able to capture the mood and essence of the world in which Romeo x Juliet takes place. The soundtrack starts out with “Tragedy in the House of Capulet,” a piece that’s fittingly heavy and somber as it lays about the overarching plot for the anime series and captures the fall of the House of Capulet perfectly in the anime’s opening scenes. This is quickly followed by a rearrangement of “You Raise Me Up,” performed by Lena Park who sings it beautifully. Tracks 3 to 8 evoke the many different faces of Neo Verona. Starting with “Red Storm” through the eponymous “Neo Verona,” Sakimoto illustrates a picture of the vibrant, ever-changing city. In “Neo Verona,” you can practically hear the footsteps of the common folks as they move about their business. The four tracks that follow “Neo Verona” reveal a much softer side of the citizenry’s life through its slower, calmer melodies that are contemplative and excellently done. Moving on, we head towards some of the darker tracks which are generally more discordant and full of tension. These pieces are generally played in scenes in which the unscrupulous Duke Montague is prominent. The melodies during these scenes are pretty heavy-handed and ominous. While the listener can definitely pick out moments in which there’s a ray of hope, most of these tracks are give off an aura of despair and oppression which suit Duke Montague’s character perfectly. The next set of pieces are all scattered in the themes and scenes that they’re trying to evoke. “Promise” delivers a calmer, romantic vibe while “Recovery” is much more fast-paced as it brings forth the image of a combat scene with its urgent, militaristic tempo generated by the percussion. Towards the end, as the plot events begin to wrap up, you have quite a few victory-styled tracks that arise such as “Flight,” which sounds like a victory fanfare as the characters make their triumphant exit, and “The World in Which You are,” which is calm and denotes the arrival at a resolution through a reprise of the themes that you have heard in some of the earlier tracks. Amidst the glorious fanfares that can be found towards the end of the soundtrack, Eri Kawai also gets a vocal track in “Prayer.” Although she does display a good amount of vocal talent as usual, the song just is not compelling compared to the rest of the tracks. Finally, the soundtrack ends with the ending songs “Cyclone” and “Goodbye, Yesterday.” The former is a rock piece that’s out of place. The rhythm is just too fast and frenetic and the vocalist’s execution isn’t very appealing which together, makes it nearly impossible to see how this piece even belongs. “Goodbye, Yesterday” is a more mellow song sung by Mizrock that doesn’t raise itself above standard J-pop. While the song itself isn’t bad, it’s not very noticeable either, and in an album with such fabulous orchestration, is completely forgettable. 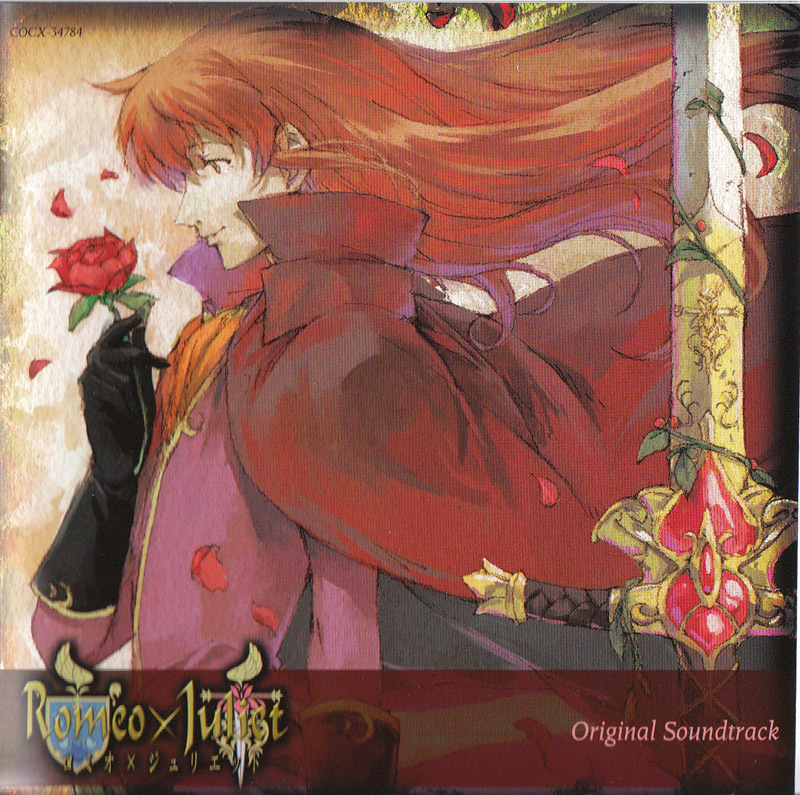 The Romeo x Juliet Original Soundtrack demonstrates how seamless Sakimoto’s transition was from writing video game soundtracks to anime soundtracks. Sakimoto succeeds in handling the mood and atmosphere of the anime series as well as making the music match what is taking place on screen through its memorable melodies. Although Eri Kawai’s performance on “Prayer” and the two songs during which the credits roll leave much to be desired, this soundtrack is solid all around, making it a must-have for those who enjoy an album packed to the brim with breathtakingly epic, sweeping, orchestral works. Yup! In the VGM world, he’s pretty big, but hasn’t made quite as big a splash as of yet. I do hope his stock will improve with the music to the Valkyria Chronicles anime. ….Hey, I <3 dis OST very much………I'am going nuts…. sad to say but you cant find that BGM.. a lot of you guys also looking for the same OST but due to licensing, music was not able to publish….